It is understandable that you would lack confidence that a landlord will return your security deposit. A report complied by Tenants Together entitled No Deterrent: Improper Security Deposit Withholding in California states: “[I]in excess of $1 billion of deposit money annually is either returned to or withheld from California tenants.” The report also found that 60% of tenants reported that they had experienced unfair withholding of some or all of their deposit. It’s fair to say that hundreds of millions of dollars a year are flat out stolen by landlords. Yet, as Dean Preston wrote last year, after our legislature failed to pass a law enacting minor reforms to the security deposit statute (California Civil Code section 1950.5), the California Senate denied tenants basic protections that tenants in places like Alabama have. FYI, one of Mark Leno’s proposed revisions to the security deposit law last year simply changed “The court may award damages for bad faith…” to “The court must award damages for bad faith…” In this example, a court has already found bad faith, why shouldn’t it be required to punish that bad faith? No Deterrent reported that tenants prevailed in over 70% of the cases that went to judgment, yet in only 3.5% of the security deposit cases filed by tenants was a landlord assessed a penalty by the court. Landlords keep hundreds of millions of their tenants’ dollars every year and appear to get away with it, despite a showing of bad faith. How is this not grand theft? Of course, if the landlord collected an amount that falls within the legal limit, you will have to wait till the end of your tenancy to sue them…and yes, given their behavior now, it is likely that you will have to sue them. Reread “Grand Theft Security Deposit” for a list of actions to take to avoid losing your deposit at the end of your tenancy. Note on the image: I found this image on the web almost five years ago. 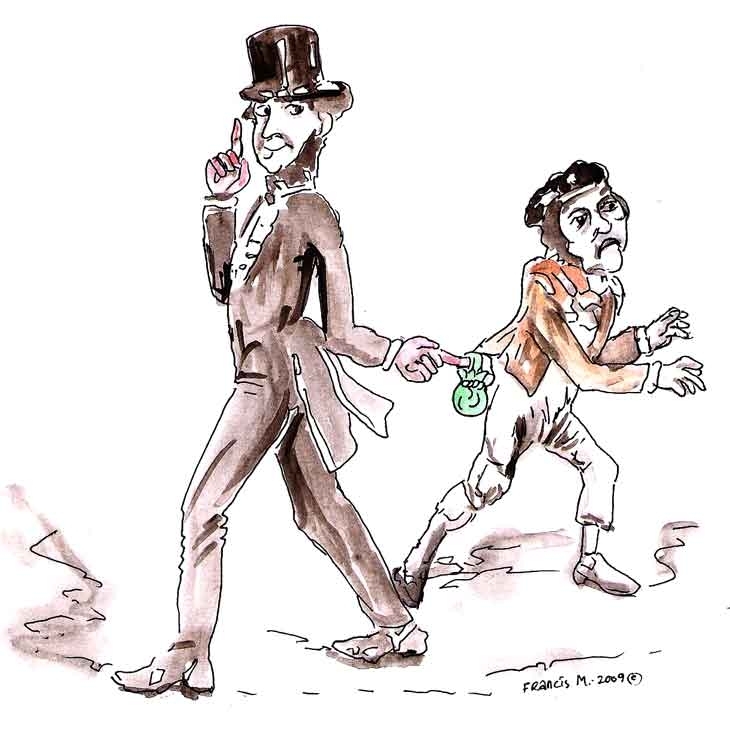 It was a nineteenth century image of a kid picking a rich dandy’s pocket. 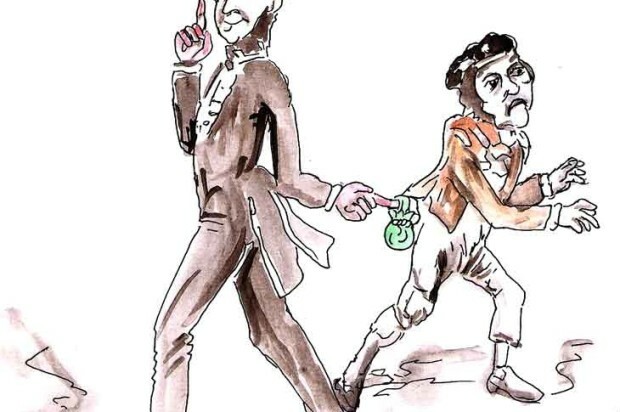 I contacted my friend, the artist Francis McIlveen, to retool the image to show the dandy picking the kid’s pocket to illustrate my “Grand Theft Security Deposit” post. It’s still apropos. The rich still steal from our children and landlords still steal security deposits from tenants.